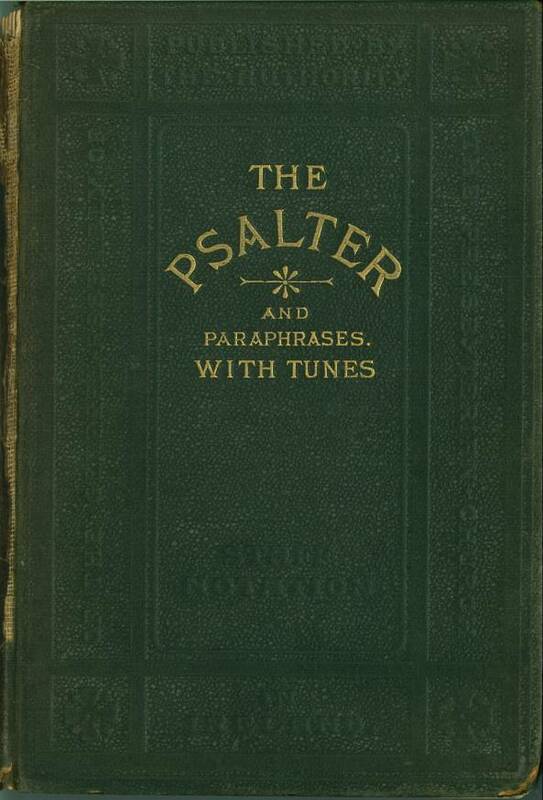 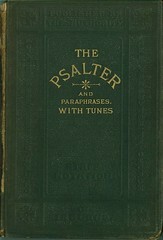 Title: The Psalter: A Revised Edition of the Scottish Metrical Version of the Psalms with additional Psalm-Versions: Set to Suitable Music, the Harmonies Revised by Sir Robert Prescott Stewart, Mus.D. 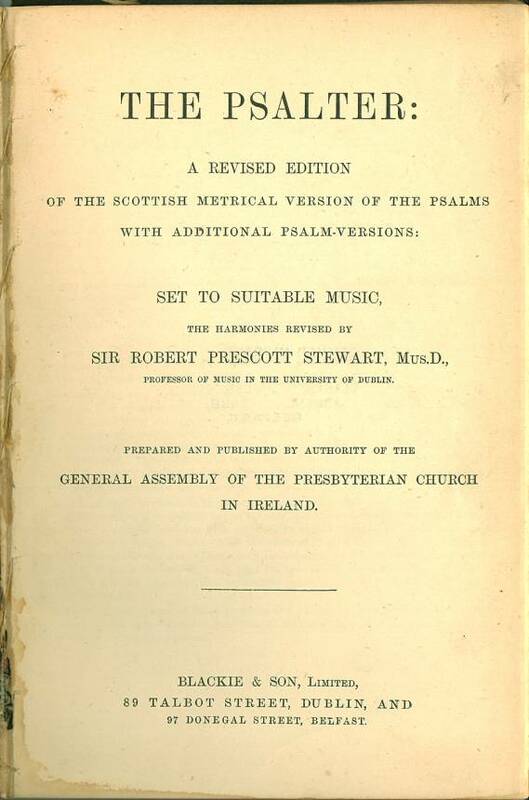 Professor of Music in the University of Dublin. 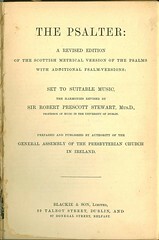 Prepared and Published by Authority of the General Assembly of the Presbyterian Church in Ireland.